There is hope for children with autism and ADD as well as for adults who suffer from heavy metal toxicity. Here is some information about detoxing heavy metals. Through almost a decade of research, trial and error, Karen Thomas brings to you the resources and solutions that healed her own child from the symptoms of autism including stomach aches, headaches, oppositional defiance disorder, anger, anxiety, focus issues, and more. Karen offers a guide for parents to help simplify and understand the process of healing their child from the symptoms of autism. By avoiding the common confusion associated with this information, results can be attained more safely and more quickly with less expense to the family. Learn the three necessary steps that will help you untangle the whirlwind of information out there and simplify it for you. Be able to utilize the knowledge and see what your own child’s progress can be. Coriander has been proven to chelate toxic metals from our bodies in a relatively short period of time. Combined with the benefits of the other ingredients, this recipe is a powerful tissue cleanser. Two teaspoons of this pesto daily for three weeks is purportedly enough to increase the urinary excretion of mercury, lead and aluminum, thus effectively removing these toxic metals from our bodies. We can consider doing this cleanse for three weeks at least once a year. It is delicious on toast, baked potatoes and pasta. 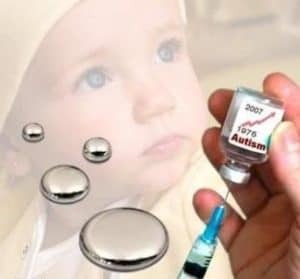 Heavy metal poisoning is rampant. It is a major cause of hormonal imbalances, cancer, thyroid problems, neurological disturbances, learning problems, depression food allergies, parasites, etc etc. This is a great recipe that is not only easy to make but also really yummy! It is truly a healing food. One friend suffering from high blood pressure due to mercury poisoning had her blood pressure return to normal after eating 2 teaspoons of this pesto daily for only a week. 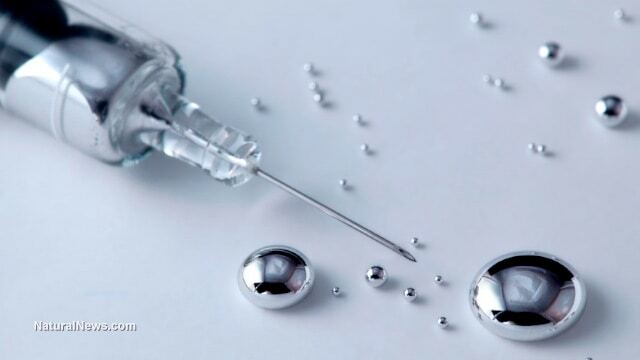 So whether you need to detoxify heavy metals from your body or just wish to use it as a preventative measure, 2 teaspoons a day is all you need to take. For additional information about Mercury health effects and Detox, visit Russ Tanner’s site: GlobalSkywatch at this link. Diatomaceous Earth is an safe, simple and inexpensive heavy metal detox. Be sure to get “food grade” and that it’s free of bentonite clay. Here’s some information. No detox post would be complete without Tony Pantalleresco’s Nano Bucket.